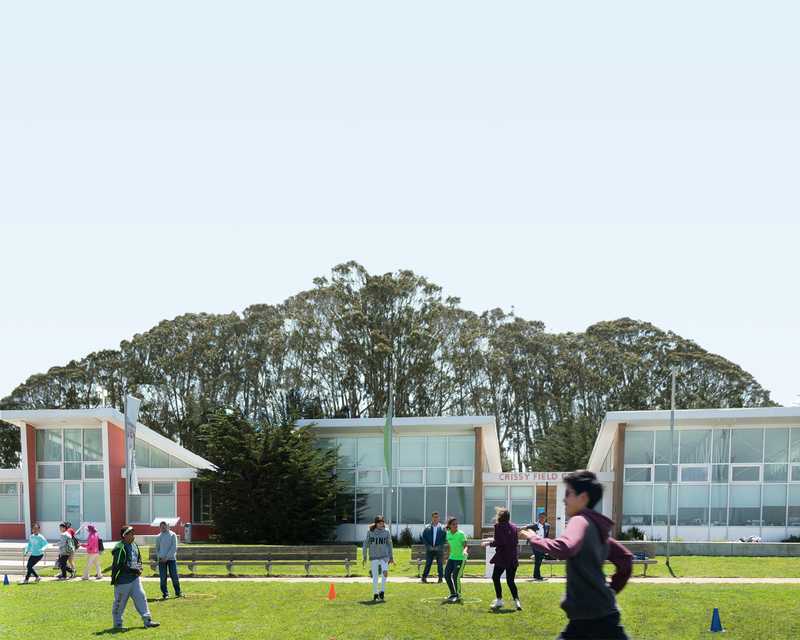 The Crissy Field Center is a showcase of environmentally-savvy design. The 7,500-square-foot interim building is LEED Platinum certified, with features like maximized natural lighting and recycled construction materials. The Parks Conservancy, National Park Service, and Presidio trust partnered with Project FROG to create the building in less than 6 months, from inception to completion. The new turbines and charging station—in addition to one of the most advanced building monitoring systems in the country—will provide invaluable data to the field of renewable energy and help educate community members and young people about the latest sustainability solutions. Photovoltaic systems or solar power panels. Wind turbines: A pilot project intended to bolster real-world data in wind energy research, promote public interest in renewable technology, and generate clean power for Center operations. Electric car charger station: A free electric charging station was installed by Adopt-a-Charger in collaboration with a grant from the National Parks Conservation Association and support from the National Park Service.